The Duggar family’s heartbreak, as they admitted that their son made bad choices when he was a teenager. They had Josh Duggar go to counseling and each child was sent to counseling as well. He was fifteen years old and was curious about girls. Both parents’ spoke to Fox News Anchor Megan Kelly. They both agreed what he did was wrong, but they have forgiven him. They chose to send him away for treatment, while the Duggar’s set up safeguards and once Josh returned home. No incident never happened like this again, plus Josh turned himself into the police station in 2003, but never heard from the police again until 2006. By then, he was an adult and the statute of limitations had already expired. After the scandal broke, the Duggar girls Jessa Seewald and Jill Dillard went on record with Megan Kelly and admitted they were two of the victims. Additionally, they admitted to Kelly Files anchor on FOX News Channel, that they felt violated by the story and records that were released to the InTouch magazine staff. They said that they dealt with this and have forgiven Josh, but now they feel violated all over again. Michelle and Jim Bob Duggar are at peace, because they did the right thing with their son, once they learned about his problem. 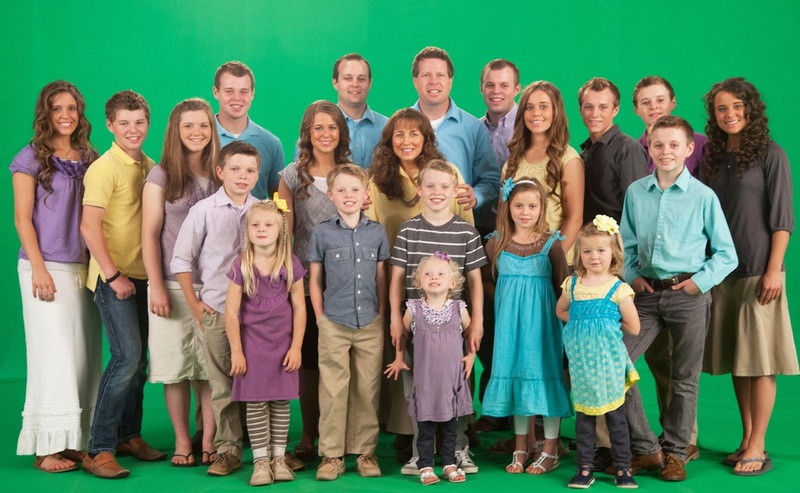 However to sell magazines, InTouch magazine will keep trying to hurt the Duggar family. They are different and outspoken, but it does not make them bad people. Josh has stepped down from his position at the Family Research Center. How long must this family suffer just for a story? How long do Josh Duggar and his family have to suffer for a mistake made when he was fifteen years old? He made a mistake, but now he is a good husband and an excellent father. Thanks to his parent’s choice to get him help, once they learned about his behavior. Thank you Crystal! I love what you had to say in your blog and completely agree. This family has done all the should've done and beyond. I think it's horrible to use this families past tragedy to SELL their magazine. May God be with them. Thank you for the awesome blog on this story. I have watched 19 kids and Counting for the past two years and find it fascinating if not a little sickening. That being said, i was not at all surprised by the news that Josh molested young girls and wouldnt be surprised if we find out there is even more to this story than what we have been told. The way The Duggar children have been raised, in such a sheltered way, there was bound to be a fallout eventually. I am just waiting to hear the news that Jim Bob has some very serious issues himself, watching and listening to him makes my skin crawl and i am not the only one who thinks this. Thank you Jennifer for reading my work. I am working on more stuff coming soon. Hugs! I believe that everyone has their own opinion. However, I don't believe that this family is BAD or SICKENING, because they chose to live differently than main society says so. All children and teens make mistakes, but they should be crucified for them just to sell a newspaper. What if this was your family? Would you disown your son or would you get help for him and pray he grows into a strong honorable young man? Just a thought. Thank you for posting a comment, even if our opinions differ.